If you’ve done any research about chiropractic care, it can either be incredibly confusing or hard to find any valuable information at all. If you struggle with back pain, shoulder pain, or even headaches, you might want to find information on your own before making a trip to the chiropractor and spending money on a treatment that you might not know anything about. The frustrating thing is that doctors can throw out terms and anatomy that don’t easily translate. For example, the scapula is also known as a shoulder blade. So to help you out while you’re perusing the Internet, here are some basic anatomy terms that you can refer to if you get confused. And if you ever want to talk to a chiropractor about treatment, give our IN Chiropractic & Wellness office a call. These discs are what make up your spine. 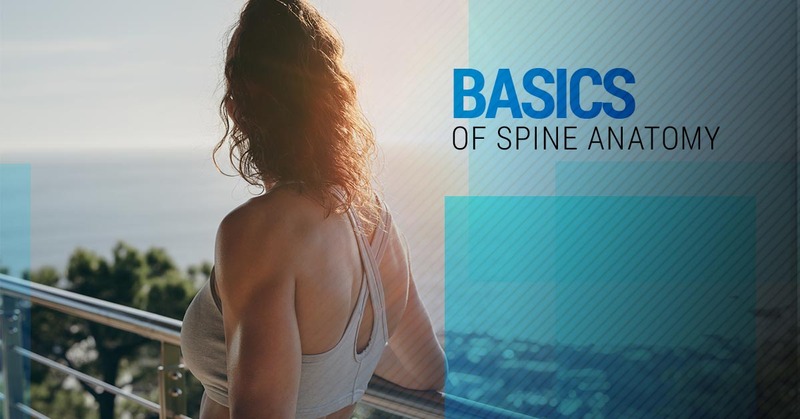 A series of discs is made up of connective tissue that is found in between the bony structure of your vertebrae. These discs act as shock absorbers between the vertebrae and they protect the spinal cord that runs the length of your spine. Your vertebrae are identified by where they are located in the back and the discs are identified by the vertebrae on either side of them. 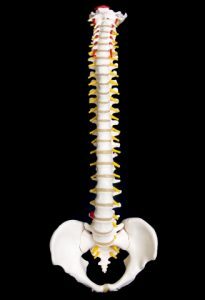 This part of the spine, or neck, is located at the base of the skull and connects the thoracic area of the spine with seven vertebrae (C1 to C7). The first cervical vertebrae are at the top and is a ring called the atlas that rotates and allows you to turn your head. These seven vertebrae are joined together by facet joints that allow you to bend your head backward and forward. When these joints wear down, it can cause serious problems like stenosis or arthritis. Cervical nerves can also be found in this area that runs along the spine. These nerves lead down to your arms and to your hands. Just below the cervical spine, the thoracic is the middle part of your spine and along the upper back. This section has 12 thoracic vertebrae (T1 to T12). These vertebrae are connected to the ribs and sternum. Because these 12 vertebrae are so tightly connected to the ribs and sternum, the thoracic is less likely to become misaligned. This section of the spine includes five vertebrae (L1 to L5) and covers the lower back. Because this section holds up a majority of your body weight, this part of the spine is more likely to cause back pain. This is the very bottom of the spine and is made of segments that are fused together (S1 to S5). These segments form a triangle that attaches the bottom of the spine to the pelvis. The disc at the bottom of the lumbar spine that connects to the sacral region is called the L5-S1 and this disc can cause problems as your grow older. There are also four bones at the bottom of this region that makes up the coccyx or tailbone. If you’re having trouble with pain anywhere in your body, it could stem from a problem in the spine. Consult with a reliable chiropractor today at IN Chiropractic & Wellness.